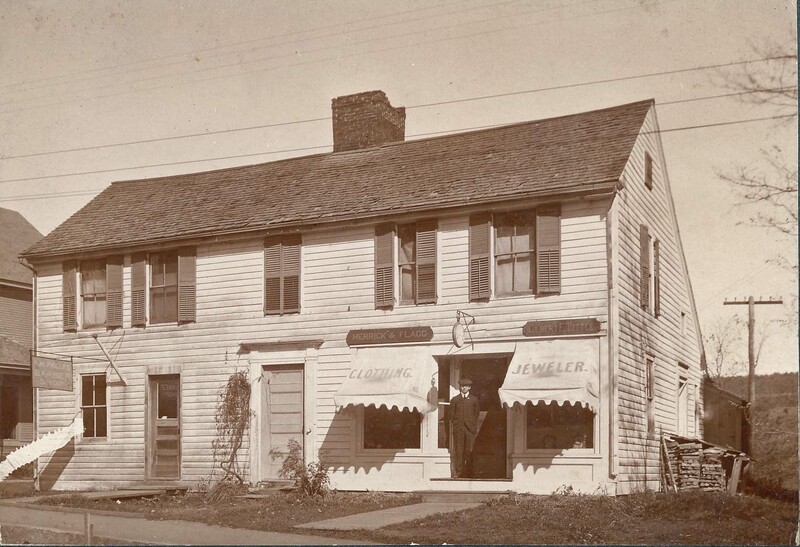 5 1/2" x 4" B/W photograph of the Clark House, a saltbox on Main Street that has since been moved to Deerfield. A barbershop, a clothing store and a jeweler shop are notable, with a man standing in the doorway. Mounted on cardboard stock that had at one time been glued to another surface. Unknown, “Photograph of Clark House,” Conway Historical Society, accessed April 21, 2019, http://conwaymasshistory.org/items/show/848.